In this step by step tutorial, you will learn how to install an SSL Certificate on Mac OS servers. For users who haven’t purchased a digital certificate yet, we’ve also included a quick guide on how to generate a CSR code on Mac OS servers. 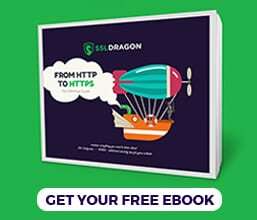 In addition to technical instructions, this guide contains a brief history of Mac servers and useful recommendations on where to buy an SSL Certificate compatible with Mac OS servers. Where to buy an SSL Certificate for Mac OS servers? Along with the CSR code, the CSR generator will also create the RSA private key. You’ll find it in your Mac’s Keychain. Once you’ve generated the CSR, you can use it during the order process at your SSL vendor. The CA will verify your application, and, if successful, sing the certificate. You will receive all the necessary SSL files in your email inbox. First, prepare your certificate files. Download the zip folder that you received from your CA and extract the files with .crt and .ca-bundle extensions. These files contain your root, intermediate and primary certificates. We’ll start with the CA bundle file. It includes the root and intermediate certificates, necessary to improve compatibility with older versions of browsers and applications. If you don’t install the CA bundle file, your website may be flagged as not secure by browsers and clients. Congratulations! Now, you know how to install an SSL certificate on Mac OS servers. To get instant status reports on potential errors and vulnerabilities use these handy SSL tools. macOS Server is an operating system add-on which provides a suite of server programs, as well as management and administration tools for macOS. It derives from former separate operating systems Mac OS X Server, and OS X Server. Unlike previous releases, macOS server is now a much cheaper add-on package available through the Mac App Store. macOS Server is based on Darwin open source Unix-like operating system. It supports a wide range of services such as file sharing, events scheduling, live video conferences, websites set up, email correspondence and secure instant messages. macOS 10.13.5 (Server 5.6) released on April 24, 2018. To help you choose the perfect SSL certificate, we created a couple of useful SSL tools. 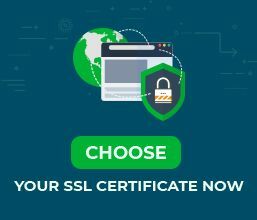 Our SSL Wizard will find the best SSL deal for your online project, while the Certificate Filter, can help you sort and compare different SSL certificates by price, validation, and features.